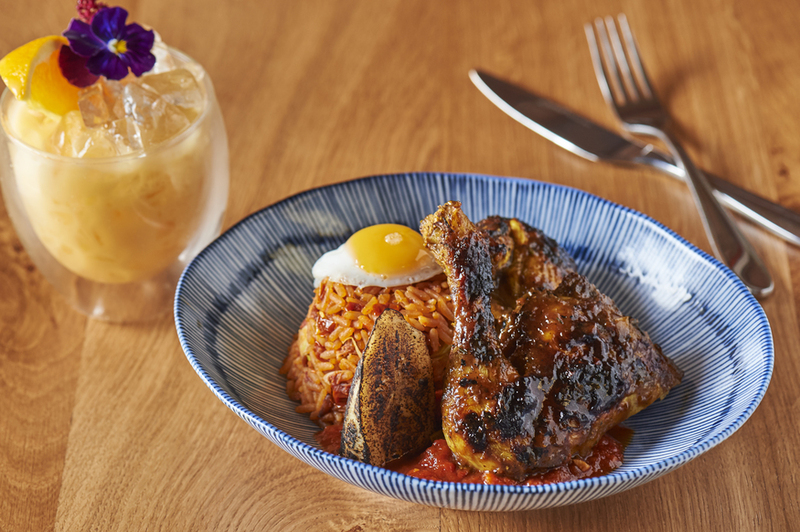 On paper it looks like BOWLS.Soho is aiming to corner the all-things-to-all-people market: the only remit is 'dishes that don't work on plates', and the menu's crammed with everything from bibimbap to jerk, from laksa to poke. Serving everything under the sun sounds like a recipe for being just-okay at all of it. But BOWLS smacks the snobbery out of us right at the start, with a plate (!) of pork belly bao that ticks every bao box: stickily tender meat, forceful pickle presence, the buns fluffy but firm, like moreish memory foam. If we fleetingly toy with the idea of cancelling our mains and just eating bao for an hour, main bowls of bibimbap and BBQ jackfruit stew make us grateful we stayed the course. The jackfruit stew is a Caribbean comfort food classic of BBQ sweetness, slow-cooked-till-collapsing jackfruit, and jollof rice stuffed with plantain and a punch of chilli heat. The bibimbap delivers the same level of warmth-chilli-carbs comfort eating. Look, we're not saying this is the best bibimbap in Soho — it's got some stiff, Korean-restaurant competition. But it's generous, well-balanced, punchy with Gochujang, and hefty enough that we could have shared between two with a couple of starters (read: four orders of bao) thrown in. Cocktails are on point. The Bitter & Stormy adds Campari and passionfruit to the trad-summeriness of a Dark & Stormy's rum and ginger beer, the extra bitterness turning it into something more layered and London-winter appropriate. Our BOWLS-tini isn't that groundbreaking — Beefeater, Noilly Prat and orange bitters — but its floral-sharp balance is moreish enough that the thought of settling in here for the evening does cross our minds. BOWLS.Soho: a pre-theatre dinner spot you might willingly miss the theatre for. BOWLS.Soho, 27 St Anne's Court, W1F 0BN. The pre-theatre menu runs Monday - Friday, 5pm - 6.45pm, with two courses for £16.50 or three courses for £19.